With more than 80 events of all sorts happening on a yearly basis, the Riviera Nayarit is an enticing destination where there’s always something going on. The Riviera Nayarit has always been known as a host destination for important events and this year is no exception. 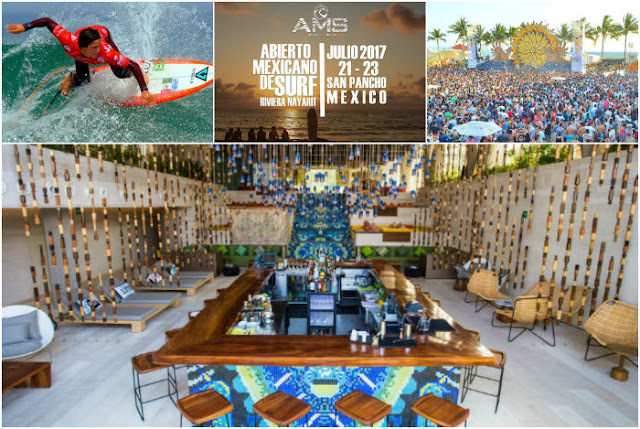 Mexico’s Pacific Treasure welcomes the summer season with a variety of activities in the sports, arts, music and cultural arenas, which will continue to place it in the international spotlight. With more than 80 events of all kinds happening on a yearly basis, the Riviera Nayarit is an enticing destination where there’s always something going on, which the Riviera Nayarit Convention and Visitors Bureau (CVB) takes advantage of quite well by organizing press trips that coincide with the different activities. Because of this, a group of domestic journalists is currently visiting the destination to cover two important activities: the Corona Sunsets festival next July 22nd and the NIIJIMA Mexican Surf Open, set to take place July 21-23. Both will be held in San Pancho, but the group will also have the opportunity to visit other traditional villages in the area. Beat 100.9 http://beat1009.com.mx/ Its radio show is dedicated to broadcasting and commenting on the latest news regarding all genres of electronic music. Impressions: 24,796,359 per month. In addition, renowned DJ and influencer Alejandro Franco is in town. Franco is also the founder and director of WARPmagazine, distributed in Mexico, the United States and select cities in Latin America. He’s covered multiple musical events including the Love Parade in Berlin, Coachella in the United States, the Personal festival in Argentina, the Heineken Thirst in South Africa and the Glastonbury festival in England. Franco will be playing for guests of the W Punta de Mita on Friday, July 21 in the living room from 10 p.m. to 12 a.m. and on Sunday, July 23 on the wet deck from 4 p.m. to 6 p.m.
W Punta de Mita is the best place for this event thanks to the brand’s close relationship with Passion for Music, which guarantees its guests a fun and relaxing getaway. For more details: http://www.wpuntademita.com or call (329) 226833.